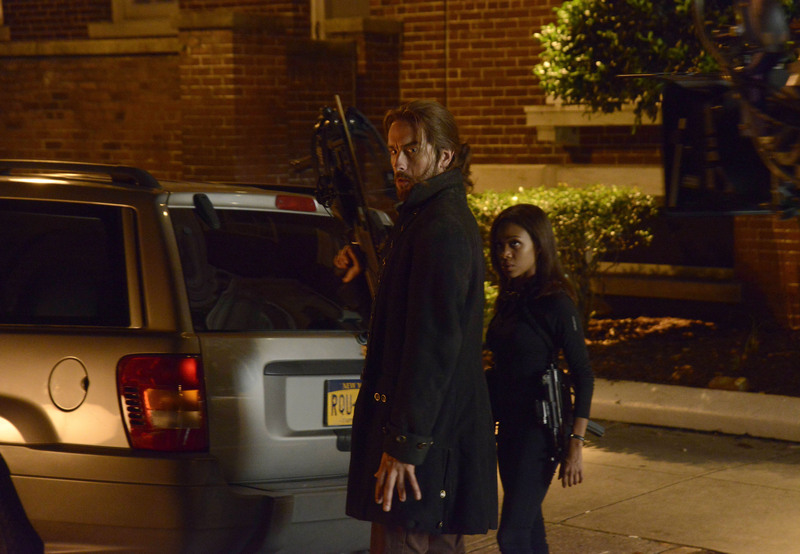 Monday's premiere was more of what's always made Sleepy Hollow fun, but it covers little new ground. 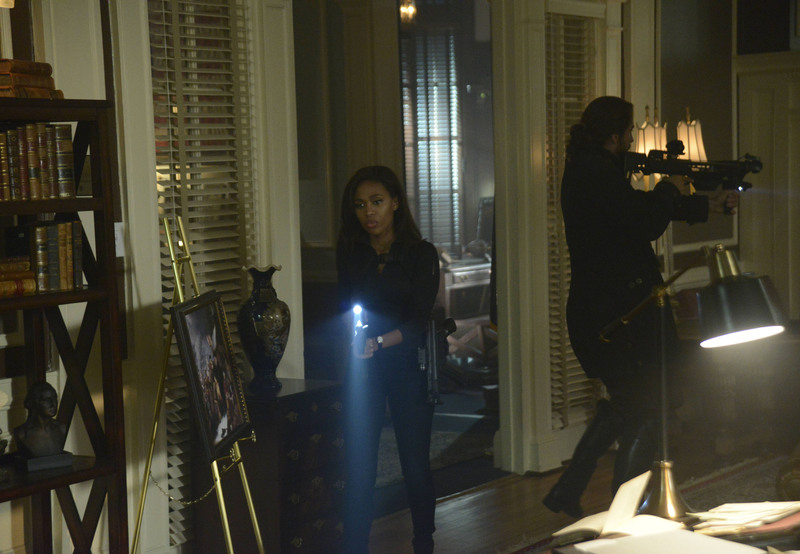 The first season of Sleepy Hollow didn't exactly end well for... anyone, basically. 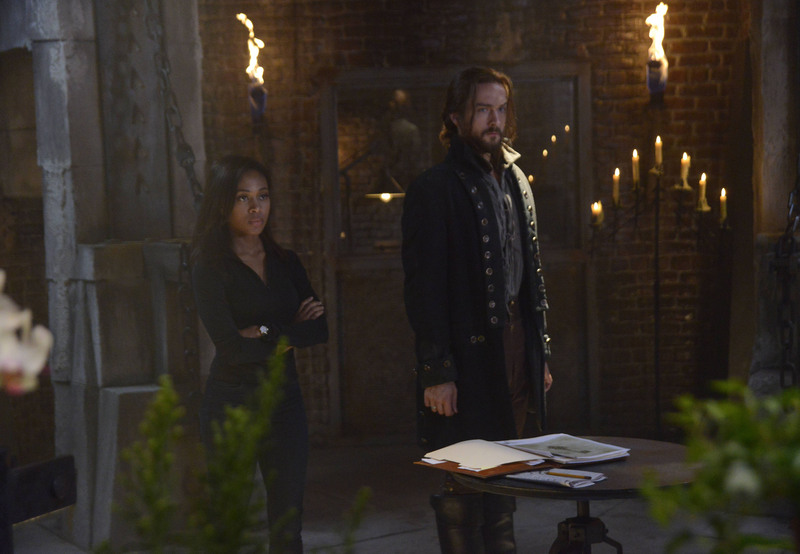 Ichabod Crane (Tom Mison) had been buried alive by his son Henry (John Noble), Abbie Mills (Nicole Beharie) was stuck in purgatory with no way out, Crane's wife Katrina (Katia Winter) had been freed from purgatory but captured by the Headless Horseman, Abbie's sister Jenny (Lyndie Greenwood) had been attacked by the Horseman and left for dead, and police captain Frank Irving (Orlando Jones) had confessed to murders committed by a demonic force... because otherwise his daughter was going to be jailed for them. In short, nothing went well for our heroes last season... and because the finale had driven everything so far into the ground, the season two premiere had to spend most of its time undoing enough of the damage to leave the season in a place where it can actually start telling new stories. Unfortunately, this means the bulk of the episode is spent on storytelling -- and sometimes literal -- rescue missions, leaving little room for anything else. 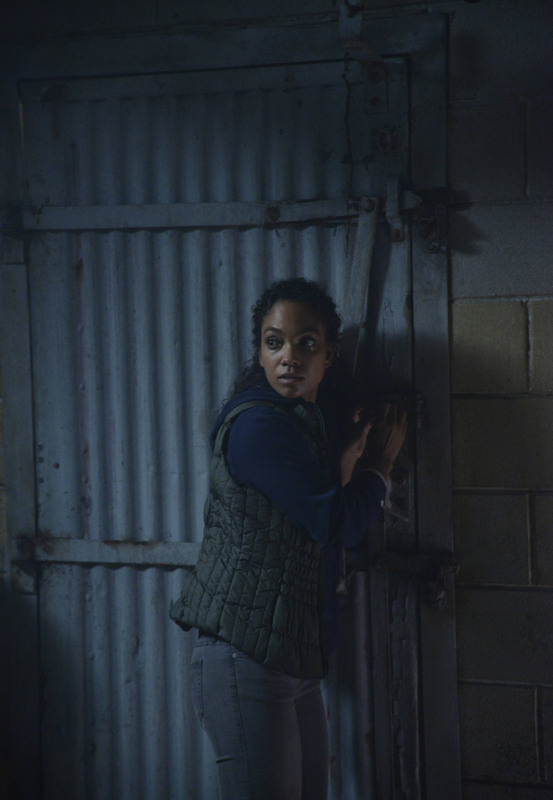 But because this is Sleepy Hollow, the episode still finds time for beheadings, gunfights, magic, and Ichabod being confused by modern technology. So season two kicks off with more of everything we loved about season one -- if you enjoyed Sleepy Hollow before, you'll enjoy this episode, too, even though nothing too deep happens yet. New episodes air Mondays on Fox, and if you missed the premiere you can catch it on Fox.com or Hulu. Now, on to the review -- spoilers ahead! 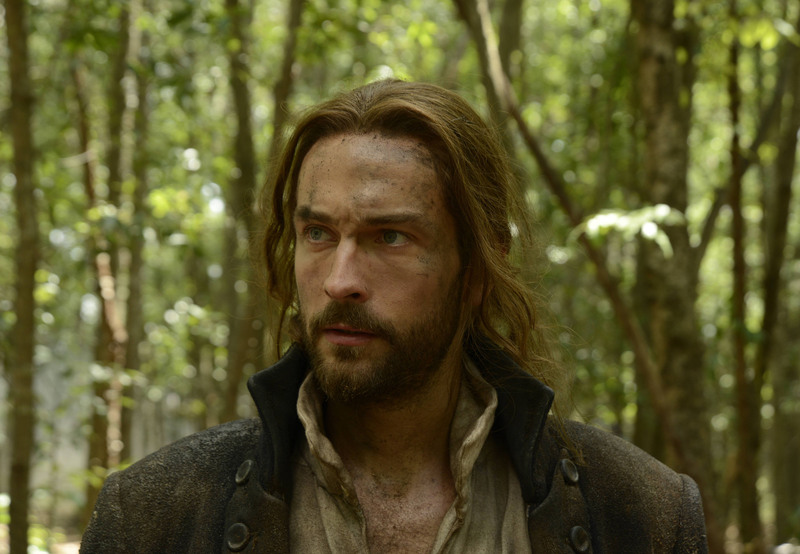 The episode kicks off with the best part of every episode: That Scene In Which Ichabod Is Confused By Modernity. 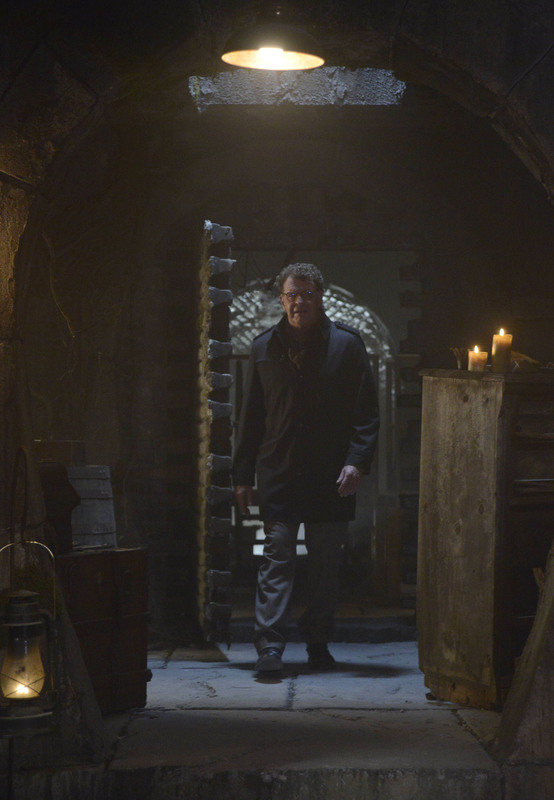 Abbie brings him a cupcake with a candle in it because it's his birthday, which is a roundabout way for the show to tell us this is happening a year later. Ichabod doesn't understand birthday cupcakes or making a birthday wish and the audience laughs, knowing that this scene is always just the calm before the storm.